Did you know that you can toast bread straight from the freezer and still have the same delicious taste? Well it's true! Every day in the UK, 24 million slices of bread are thrown away - mostly because they are not used in time. That means that the average person in the UK throws out more than half of a loaf of bread every month! You can keep bread for longer by putting it in the freezer and then use it straight from frozen to make toast. Here's lots of inspiration to show you that toast can be more than a buttery breakfast choice. 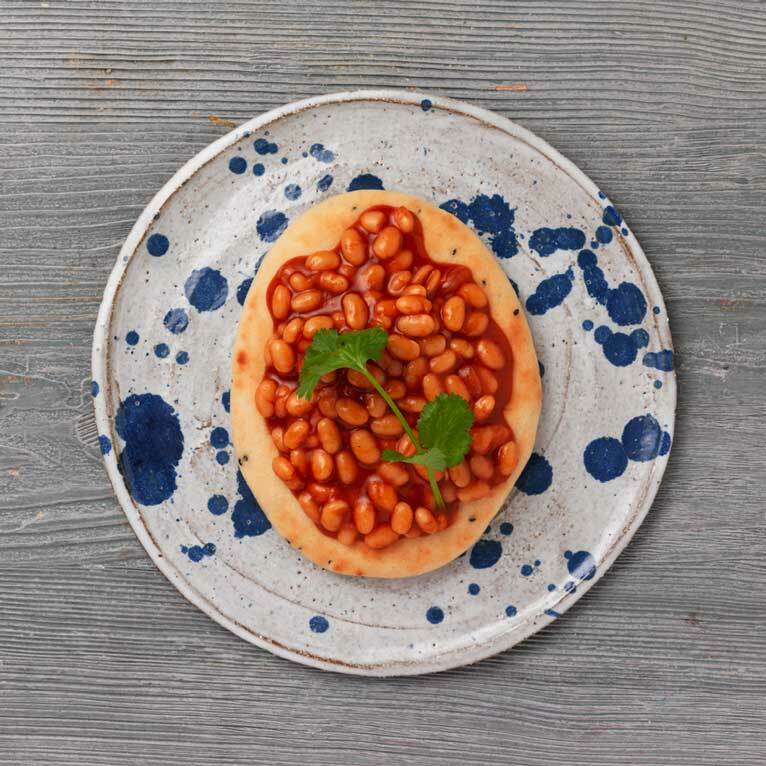 Get creative with your loaf, experiment with the tasty, convenient and affordable toppings used in our toast toppers ideas! 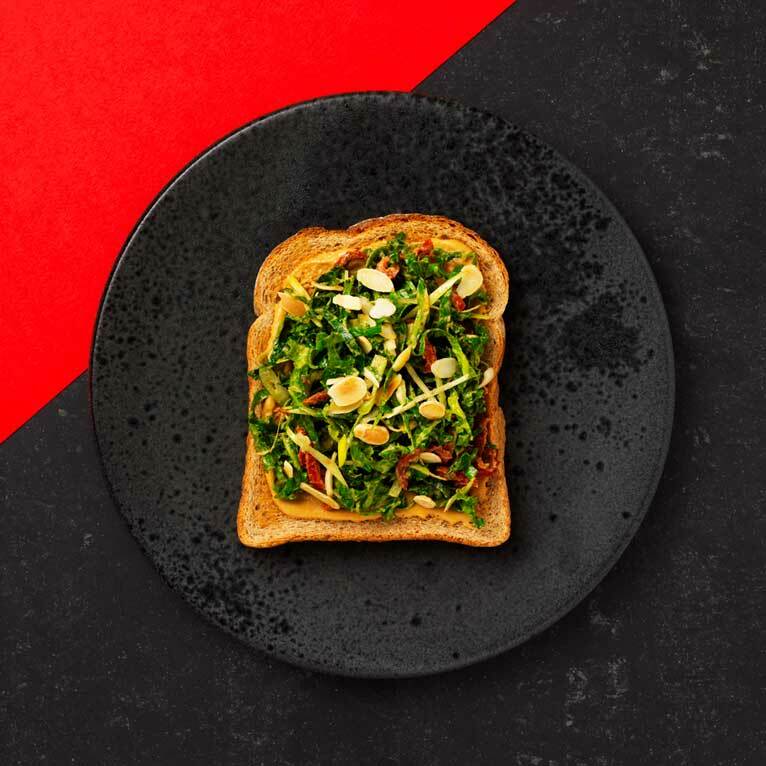 Don't forget to share your favourite toast toppers with #MakeToastNotWaste on social media. 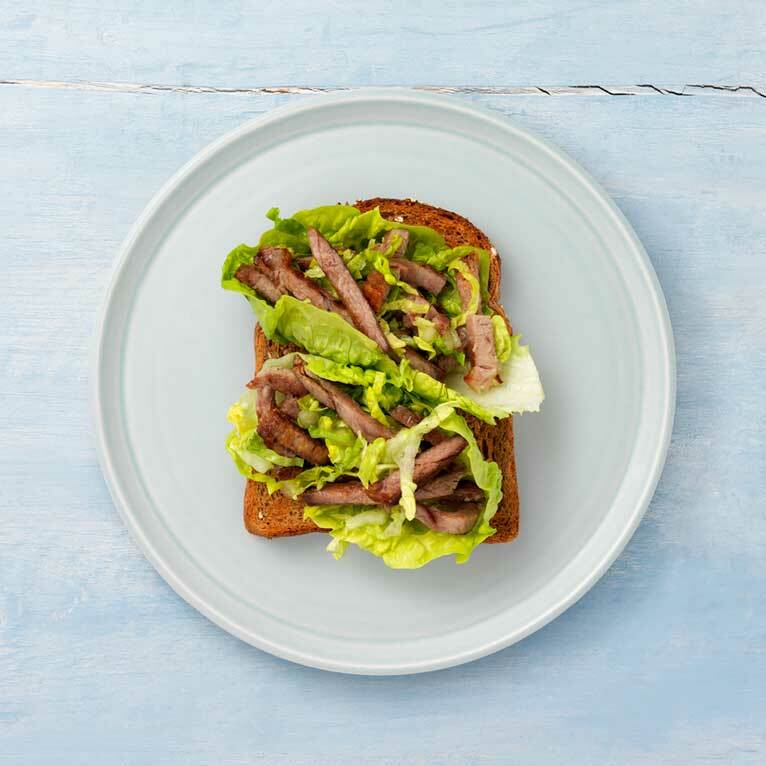 Toast can be the perfect pairing to some healthy leftover salad ingredients kicking around, make sure none of it gets chucked away. Grab some bread straight from the freezer and pop it into the toaster to pair those ingredients with some delicious toast. Give the B.L.T.T. a go. Bacon, lettuce, tomato and (you guessed it) toast! Add some cucumber, red onion and extra salad leaves on there if you have any hidden in the back of the fridge. Feel like adding a little something extra? Drizzle some French dressing on there. Feel like mixing your snack habits up a bit? These toast toppers are sure to make your mouth water and get you closer to your five-a-day in a delicious way. 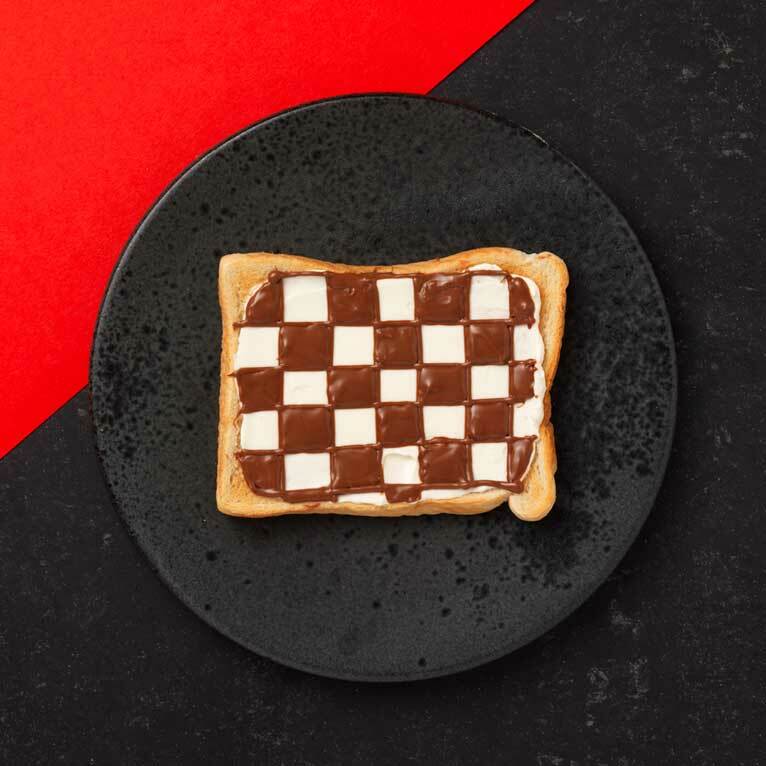 Given some of our other toast toppers a go and fancy stepping it up a notch? Try this Moroccan-style baba ganoush on toast. Mix some shop bought aubergine dip with sultanas and cumin. Then add some yoghurt and lemon juice. Pop the aubergine mix on toast and drizzle with the yoghurt. Top with pomegranate seeds if you have any! This is an easy peasy toast topper and tastes delicious too. Grate a carrot, beetroot and apple into a bowl and squeeze in some lemon juice. Grab some bread from the freezer and pop it in the toaster, then spread some hummus on top. Sprinkle the rainbow mix on top and voila! Feel like giving the food processor a whirl? Chuck in cooked beetroot, chickpeas, lime juice and finish with cumin and orange zest if you have any. 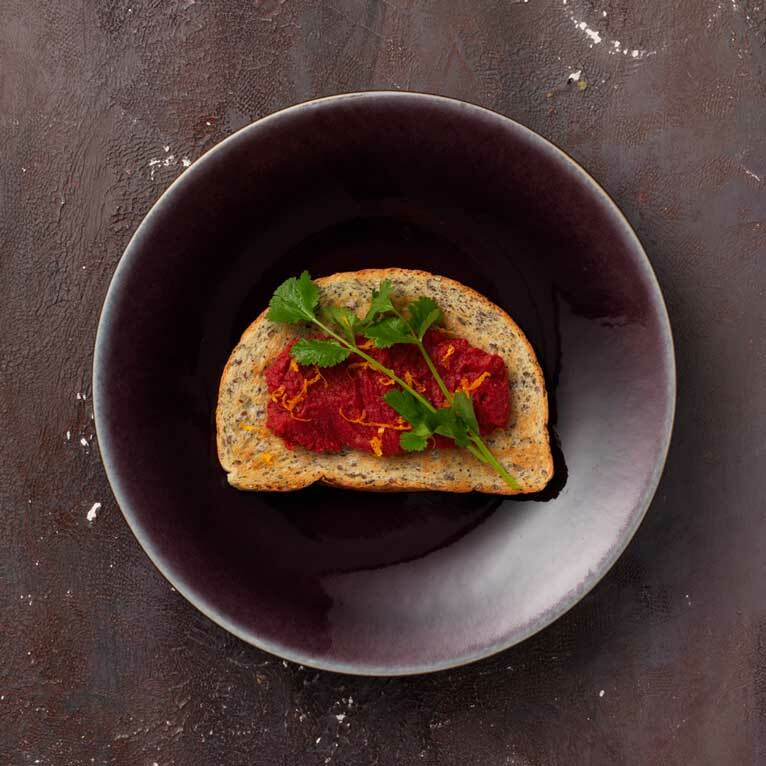 Toast some yummy bread (we've gone for a seeded bloomer) and top with the beetroot hummus. Feeling a bit groggy after last night, or simply want to make your weekly shop stretch a little further? 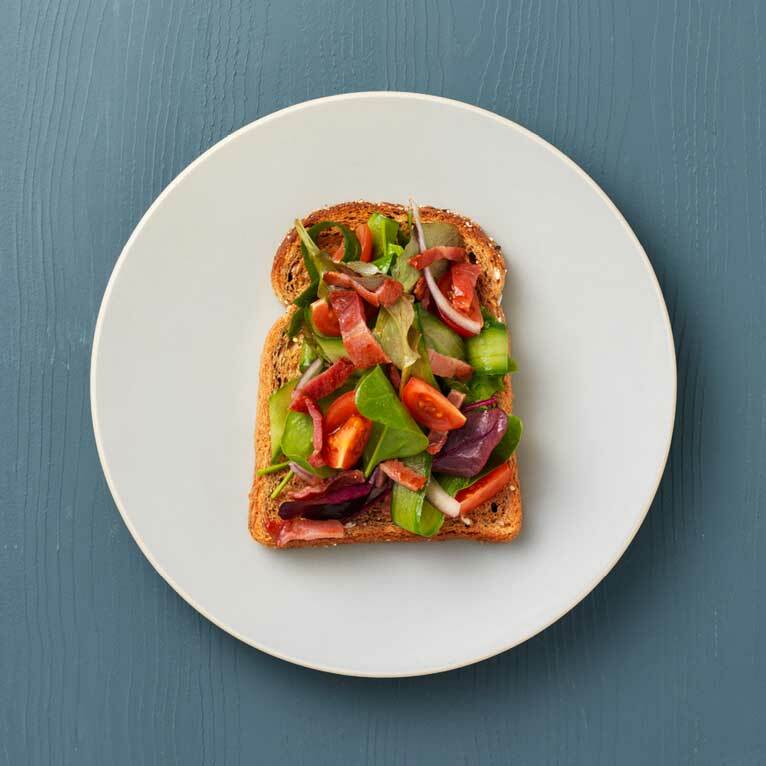 Get stuck into our range of delicious and simple toast toppers - the ultimate comfort food. In a rush after lectures? Try this simple pizza toast. Take a couple of slices of bread out of the freezer and whack them in the toaster while you make your toppings. We've gone for tomato puree and grated cheddar with a pinch of pepperoni. Pop it under the grill to finish it off! Got some leftover chicken and peanut butter? Why not try our easy satay chicken. All you need to do is throw some peanut butter and sweet chilli sauce in a saucepan with some lime juice and add in the cooked chicken. Whack it on a plate and if you're feeling really fancy, add some coriander and spring onion. Feeling those morning after vibes and need a good meal after a heavy night? Take your bread out of the freezer and pop it in the toaster (we used naan bread, but any would work). Take some baked beans, add a teaspoon of curry powder, a pinch of coriander (if you have it) and microwave for a couple of mins. As soon as it's done, pour the beans over the toast and enjoy! Yummy, and best of all you're not chucking any bread. 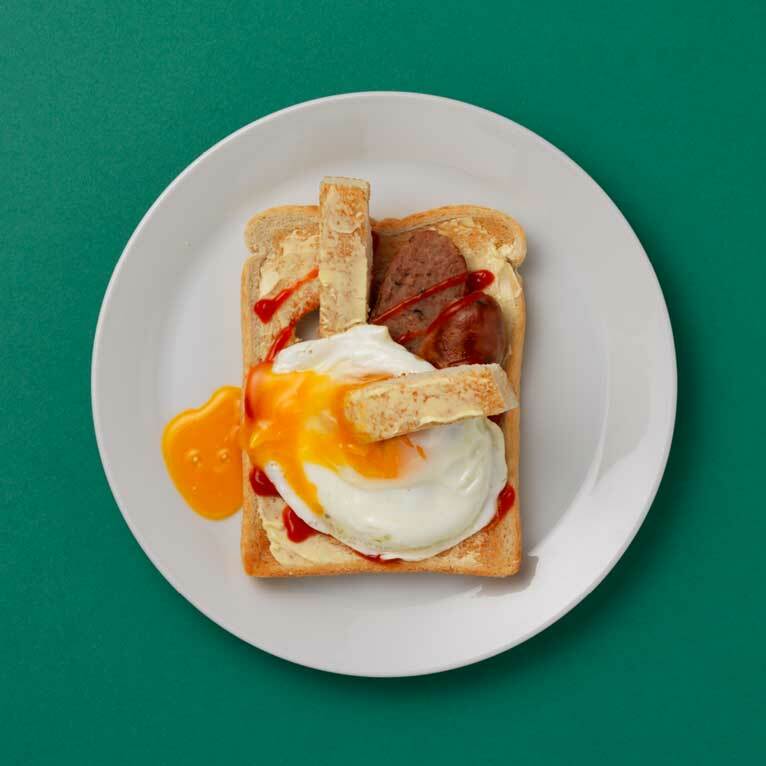 It's a full English… on toast! 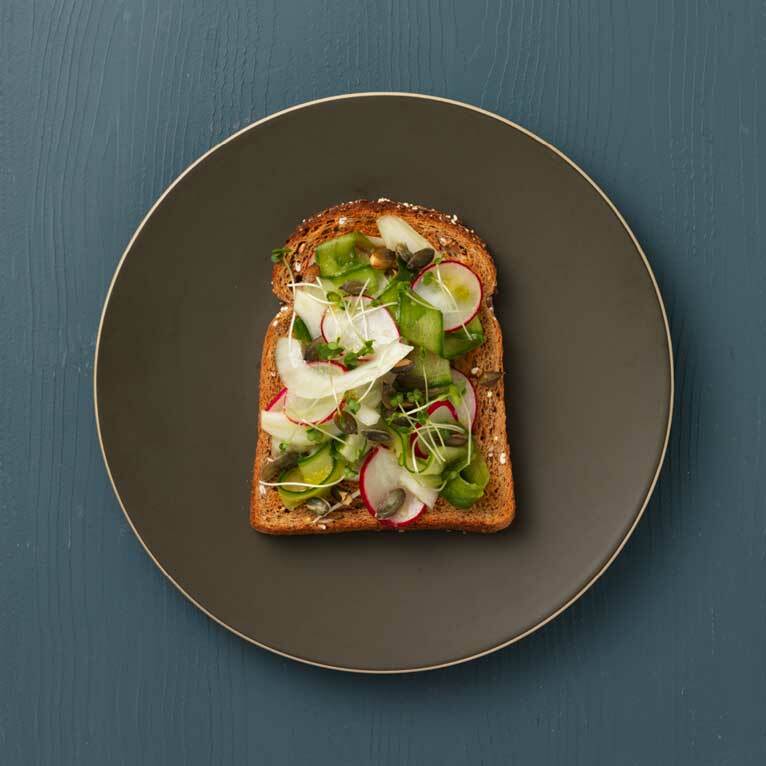 Don't treat your toast as a side, make it the centre piece of this delicious weekend feast treat. Take a slice of bread (that you can grab straight from the freezer! ), toast it and cut a rectangle out of the middle. Slice a hot sausage in half and fill the gap in the middle. A fried egg on top with the condiment of your choice and you have yourself a masterpiece...and that toast you cut out earlier? Use it to dip into the runny egg. Sublime! 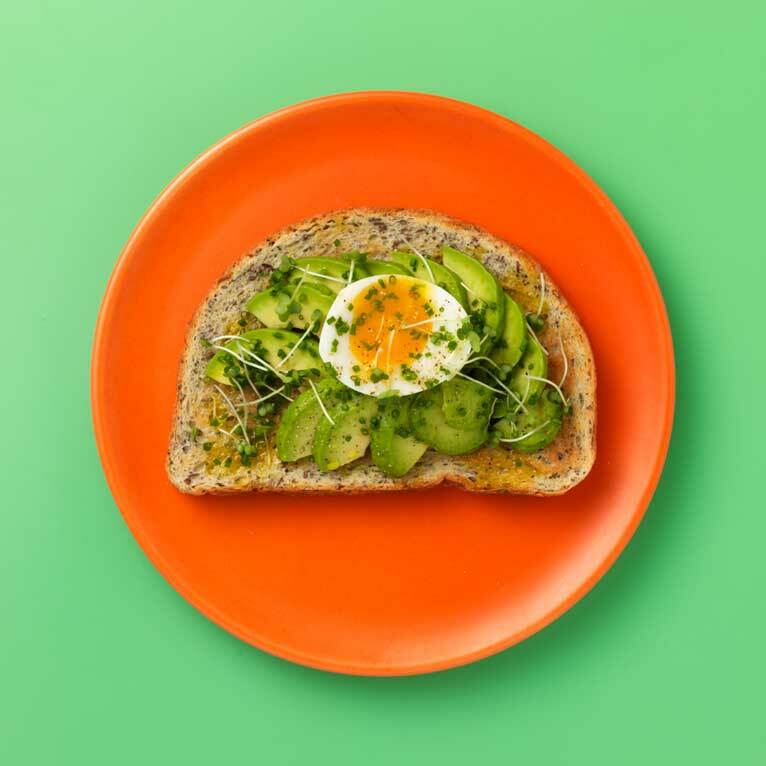 Whether you're tackling teen taste buds or pulling together a quick snack for your little ones, we've got the best toast for every situation. Perfect for all the family, these staple ingredients knocking around in your fridge will be sure to fill those tummies at dinner time. 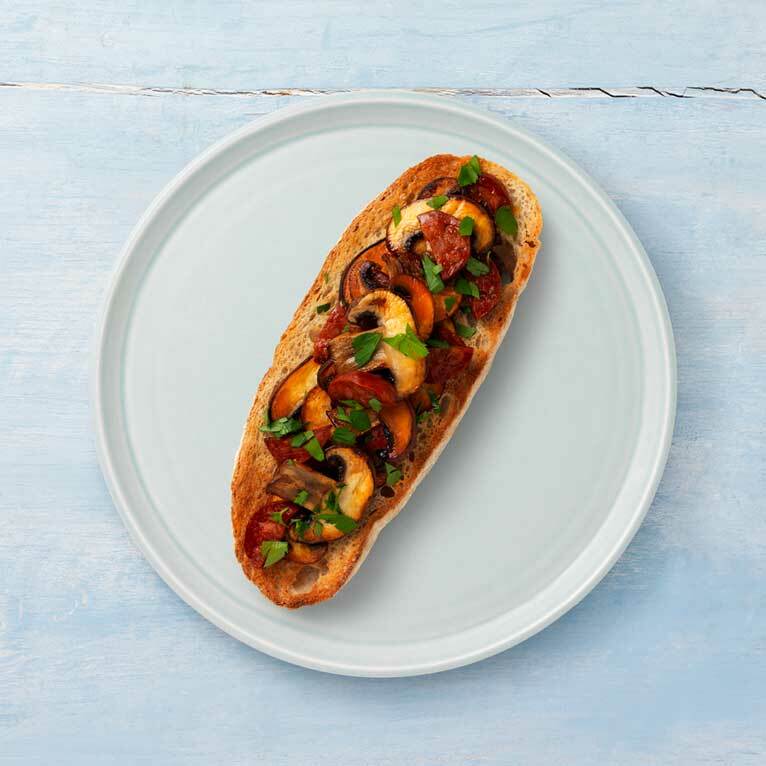 Stir fry some mushrooms and chorizo and spoon over some golden brown toast. Add some parsley if you have some! It'll be ready in just 10 minutes. Got some tinned sardines stacking up? Pair them with those tinned tomatoes in the cupboard and you've got yourself a family favourite. Tip the sardines and tinned tomatoes into a bowl with some dried chilli flakes, season, add some parsley and lemon zest for flavour. Pour this over toast, and there you have it, an instant classic! From cupboard to plate in under 10 minutes. Have some leftover pork from the weekend's roast? Heat it up in a frying pan and stir in some apple sauce and little gem leaves (if you have some going spare!). Pop some frozen bread in the toaster, spread with mustard, and spoon the mixture straight on top. Ready to enjoy in under 10 minutes. Want to get the little ones to empty their plates? We've got some tasty toast toppers to get them enjoying meal time. Check out our ideas! This incredible toast topper is the perfect way to keep your kids enjoying toast and entertained for at least 10 minutes. Show them how easy it is to make this scrummy treat by popping your frozen bread in the toaster. Then add some chocolate spread and marshmallows then melt under the grill, crumble on some of those biscuits hidden in the back of the cupboard to finish. It's really as simple as that! Have you got some fish fingers knocking about in the freezer? 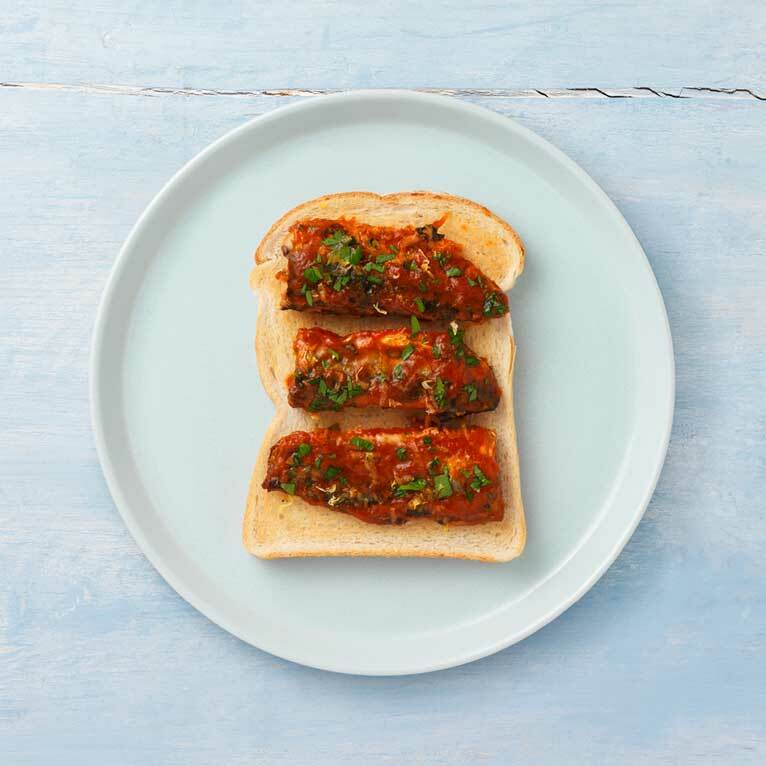 Team them up with some toast, grab some bread from the freezer, pop it in the toaster and you've got a meal sorted in the time it takes to cook the fish fingers. Cook the fish fingers and mushy peas as directed on the packet. 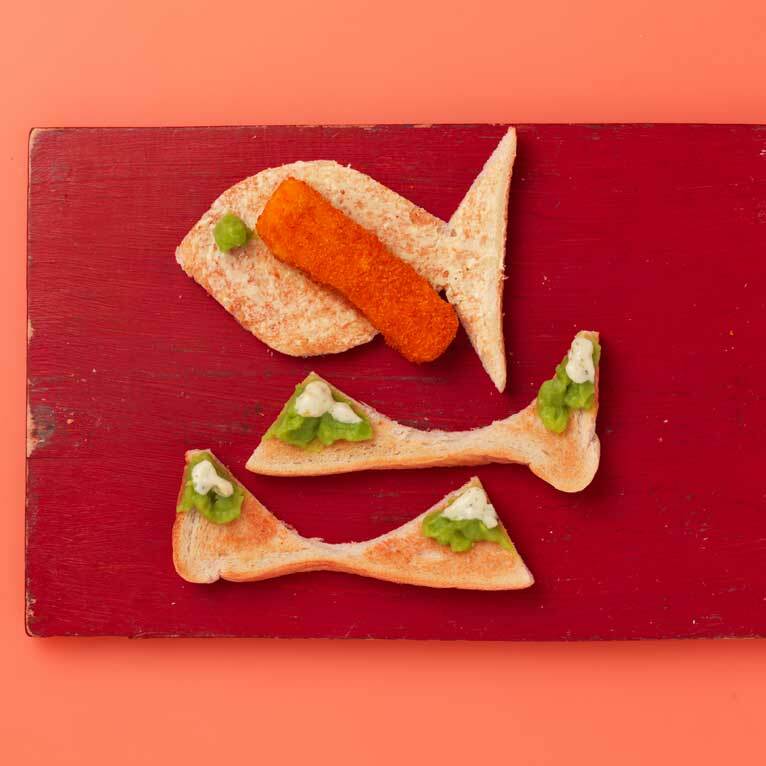 Cut the toast in the shape of a fish and then spread the peas on top. Give the fish some fins with the fish fingers and use some tartare sauce to add the details. This should get them hook, line and sinker… well, at least until dinner time! The perfect veggie recipe for your kids, give them something new to try! 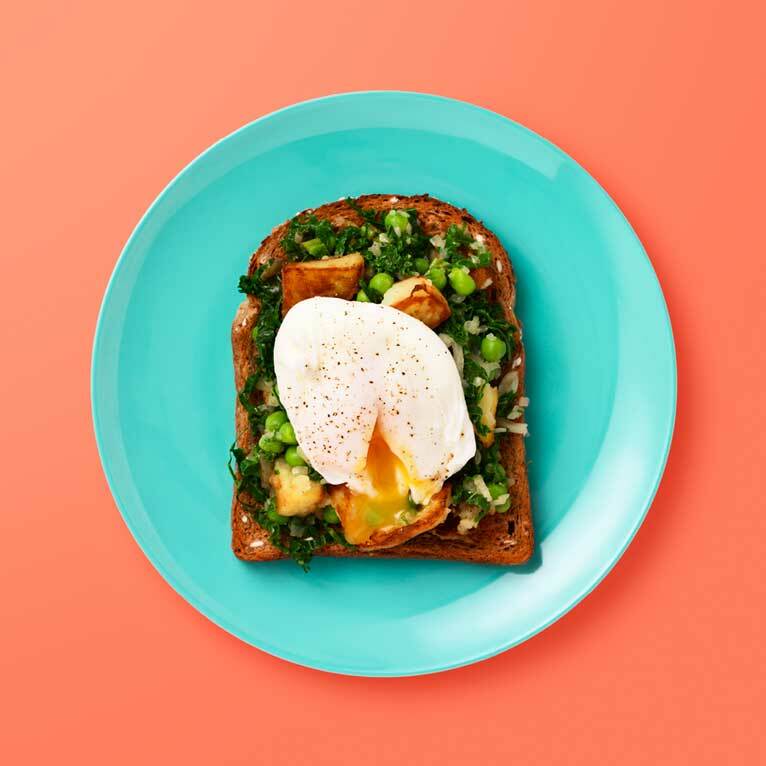 This potato hash with egg uses classic ingredients, but add a bit of kale in there to mix things up and give them a new firm fave! Stir cooked, chopped potatoes into a frying pan with shallots, oil and seasoning until golden brown. Add the kale and peas until hot through and then stir in some brown sauce for that extra flavour. If you don't have kale to hand, any leftover veg is just as delicious. Add a poached egg on top and you have breakfast sorted in just 15 minutes. 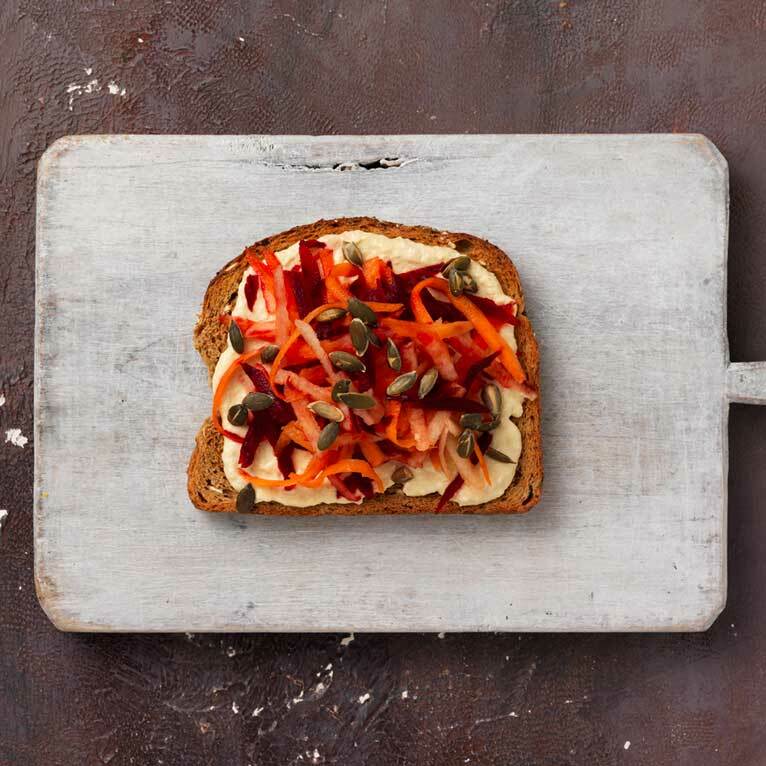 We've got some tasty toast toppers to plate up after a sesh in the gym. Give these yummy, protein packed ingredients a go. This post-exercise toast topper couldn't be simpler. Toast some frozen bread and spread with cottage cheese. Scatter chopped chives on top and add some little gem lettuce leaves. No hassle, no waste, no problem! Protein-packed and delicious, this is bound to top you up with the yummy and healthy ingredients you need. 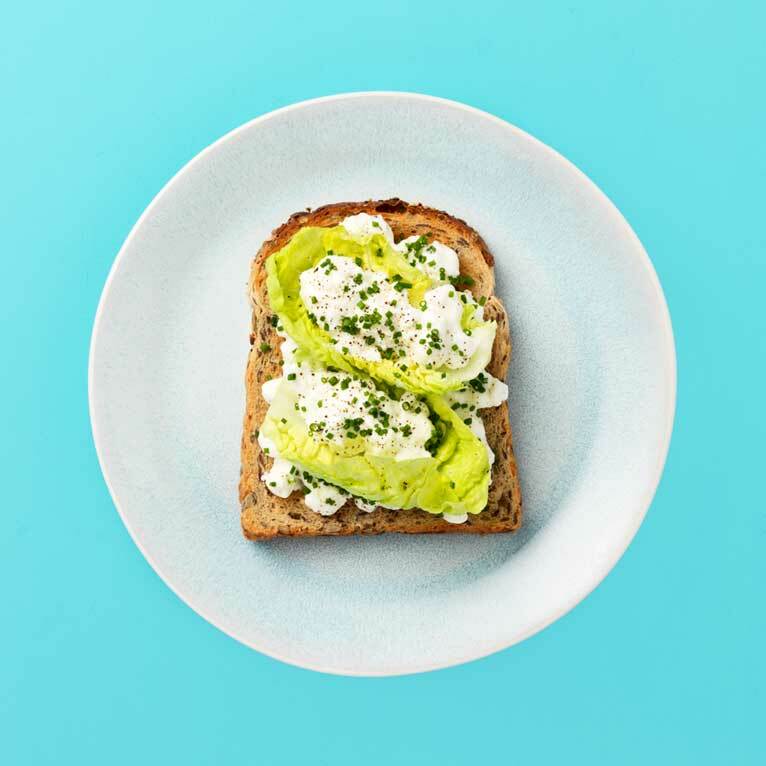 Scoop out some avocado onto toast, followed by a sliced boiled egg and top with some lemon juice and chives. Nom! Happy Easter! Now we know that the usual suspects for Easter treats are Easter Eggs BUT feast your eyes on these toastastic delights. Sure to keep the whole family hopping around with joy. This quick sweet treat is sure to keep the kids (big and small) happy until the Easter bunny delivers those scrumptious Easter Eggs. All you need is frozen bread (in the toaster) peanut butter, a banana and a splash of honey. Easy peasy. Have you got the family over during this Easter weekend? Make a splash with this super tasty smoky salmon toast. 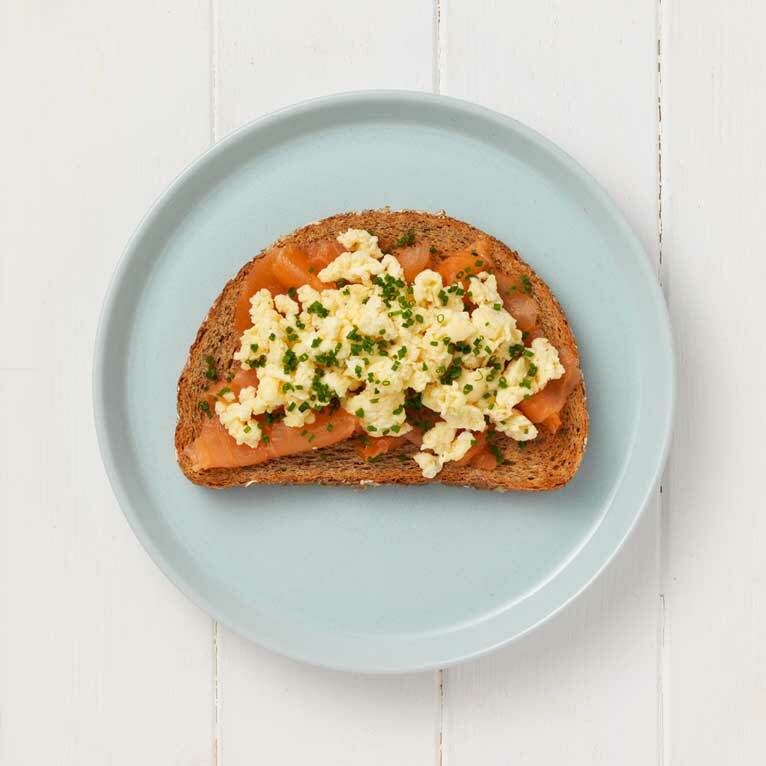 Pop that frozen bread in the toaster, then all you'll need to add to it is salmon, scrambled egg (with butter and milk) and seasoning. Need a fun way to involve the kids with stopping food waste? This cute little bunny toast will not only be delicious but incredibly easy to make. All you'll need is frozen bread popped into the toaster, butter and a boiled egg. 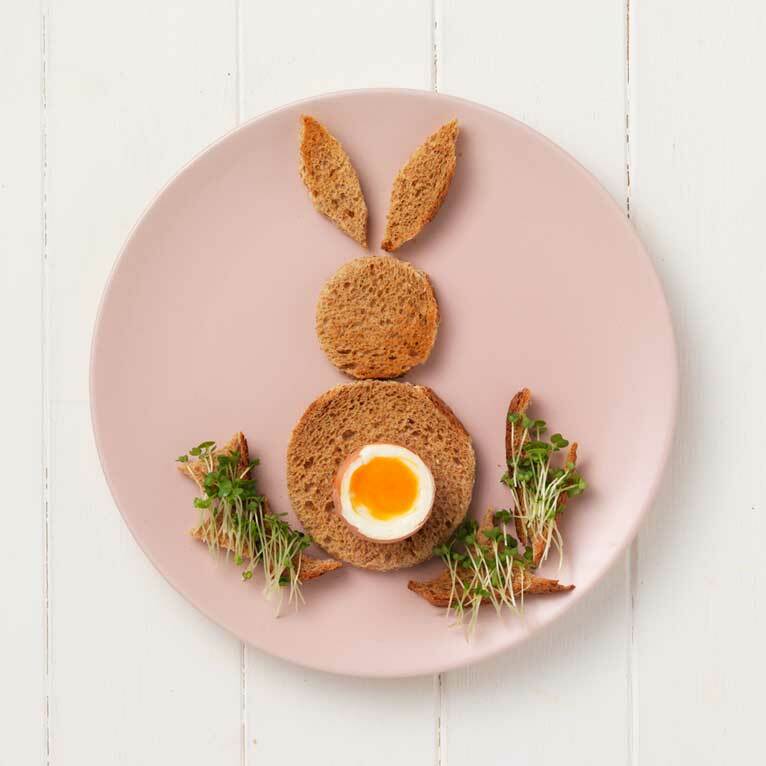 Use those leftover pieces of toast and some cress to give the bunny some grass to play in! It's nearly spring time, hurrah! What better way to kick off the, sometimes lacklustre, British summertime than with food? These delights are sure to put a spring in your step. This fresh toast topping is sure to scream summertime in your mouth. 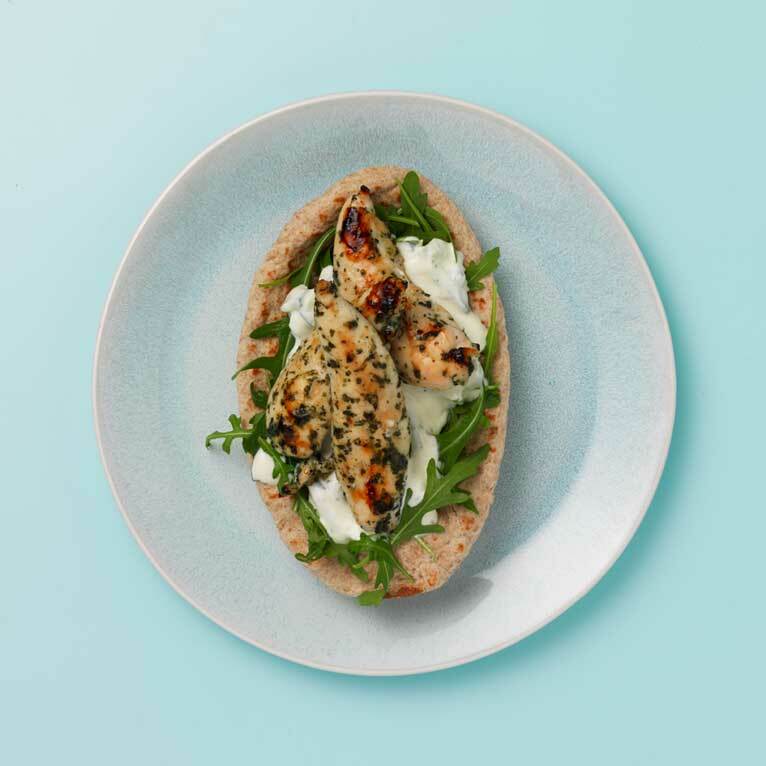 All you need is chicken, mint sauce, rocket and yoghurt (or a pot of shop bought tzatziki). Of course, this will all sit on top of some lovely toast - made straight from the freezer! How delicious does this look? Screams summer, right? All the freshness is needed here, tomato, mozzarella, basil leaves and seasoning. If you don't have fresh basil, a spoonful of pesto is a delicious alternative. This topping is PERFECT over that frozen bread you've popped in the toaster. You can't enjoy spring without a classic British dessert. Apple pie on toast anyone? Don't knock it until you've tried it! All you need is some sliced apple on toast, sprinkled with cinnamon and sugar, to heat up under the grill. Perfect. As Formula 1 revs it's engines, we want to share with you some great finger food to keep you and your friends snacking on deliciousness throughout. Try the ultimate kale for the first pit stop, with sun dried tomato, spring onion and soy sauce. This speedy recipe will keep you winning in your friend's eyes. Try the splash and dash Mexican tuna with yellow pepper, tuna and a spoonful of Greek yoghurt (add a dash of coriander if you have some lying around). Your friends will lap it up! Planning a weekend watching the Six Nations finals with some pals? Grab some bread out of the freezer, pop it straight into the toaster and impress everyone with your tasty snack ideas. It's game time, we know what you want. Nachos! Do you have some flatbread going spare? Brush on some olive oil and season, then pop it the oven. If you like it spicy, sprinkle on some chilli powder or smoked paprika. First up is the toast of the tournament, the harissa chicken with red pepper, spring onion and some Greek yoghurt. Add some harissa paste (if you're keen to spice it up!) and some lime juice for that extra flavour. Why not show off your culinary skills and Irish pride with this gorgeous green snack idea? 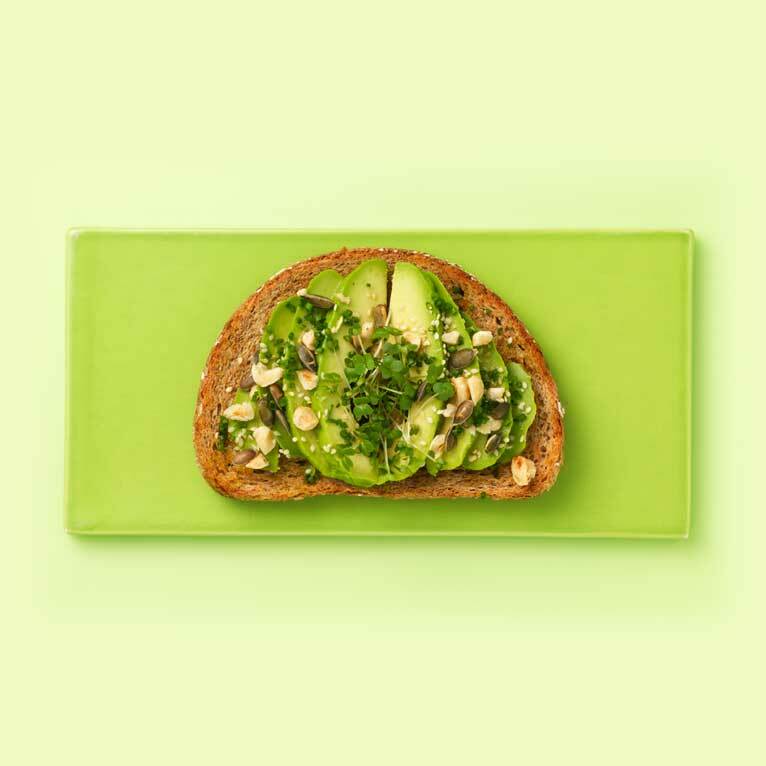 Scoop the avocado into a bowl, add some hazelnuts, beansprouts, pumpkin seeds, sesame seeds , lemon juice and chives. Pop it onto some toast, using frozen bread straight from the freezer and there you have it!